WE R MEMORY KEEPERS-Trim & Score Board. 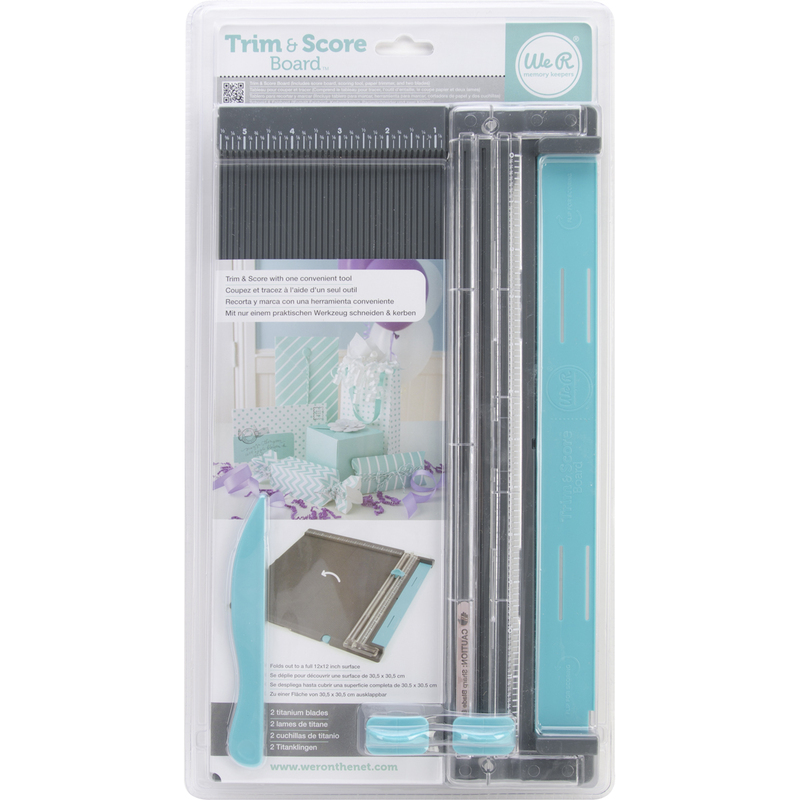 Now you can trim and score with one convenient tool. This package contains one unit that will fold out to a full 12x12 inch surface (features both imperial and metric measurements) and one 5-3/4 inch score & fold tool. Imported.